makes gray the vibrant reds and burgundies as they hang on to their hardwoods. The dust cloud behind the humming street sweeper is knocked down, and instead becomes a trail of brackish oily froth. He hums along, erasing a year’s worth of road grime – or at least relocating it to the curb. And the little boys, with tousled blonde curls, ready to climb and leap and play in the cool autumn morning are imprisoned by bars of near icy mist and currents of water dripping from the roofs. I’ve been to a lot of different kinds of concerts, and the etiquette often depends on the venue, the kind of music, etc. But there is a universal decorum for school choral and band concerts. 1. You don’t need to dress fancy, but you should at least wear clean clothes that are presentable in public. You should also make sure that you are free of any offensive odors. People will be sitting in close proximity to you. Please don’t smell like old cat urine, Axe Body Spray, or general filth. 2. This concert is about the kids. It is not about you. Yelling your child’s name, standing up and waving. Conducting from the back row, holding babies up in the air so that they can be seen, waving the flashlight of your cell phone back and forth so that the child can see you are unacceptable. 3. The only sounds that should happen in that auditorium is the children’s performance, the director’s announcements, and the appropriately timed applause. If your small child can’t sit still and quiet for the 1 hour performance, you should probably hire a babysitter, or take a parenting class. If you cheer and yell your child’s name, rather than clap – you will distract them, embarrass them – as well as embarrass the people sitting near you – and in actuality, it SHOULD embarrass yourself. Unfortunately, because people may not have realized that it is not acceptable behavior – they aren’t embarrassed. 4. If you plan on taking pictures or video taping – please do so with courtesy for the people behind you. Don’t hold your cellphone or tablet or camera in the field of view of the people behind you. Don’t stand up at your seat. If you are concerned about getting a good shot, you should probably politely excuse yourself inbetween songs from your seat, and make your way to the side wall, in order to get a controlled shot that doesn’t distract others. 5. Please don’t leave until the entire performance is over. Your child is not the only child performing tonight. And while your child’s performance is important to you – the other children’s performance is important to their parents. Standing up, gathering coats, telling your entire family loudly, “IT’S TIME TO GO! C’MON!” isn’t really appropriate concert etiquette. 6. We all understand that sometimes bladders can’t handle a full hour. Try to prepare for this by emptying it before the performance. If it’s not enough, and you must leave to go to the restroom. Hold it until a pause between songs. If you come back in the auditorium during another song, please stand in the back until that song is over, and then make your way back to your seat. If you KNOW that you are the kind of person whose bladder is unable to withstand a torturous hour of sitting in an auditorium, sit in an aisle seat. 7. Please don’t try to clap along in time to the music. These kids are working hard and concentrating trying to keep the beat on their own. 600 people, no matter how good their sense of rhythm is – cannot clap in time together. The mass clapping will slow down or speed up the performance. 8. When leaving the auditorium. Please do so with courtesy. Let the older person using a walker get by you. Don’t push, or shove, or rush your way out. If you have other plans on the night of a concert that involve you leaving quickly – you should cancel them, and take your time. 9. This one is so important, it deserves another mention. This concert is about the kids. Don’t make it about you. Do not draw attention to yourself in any way. 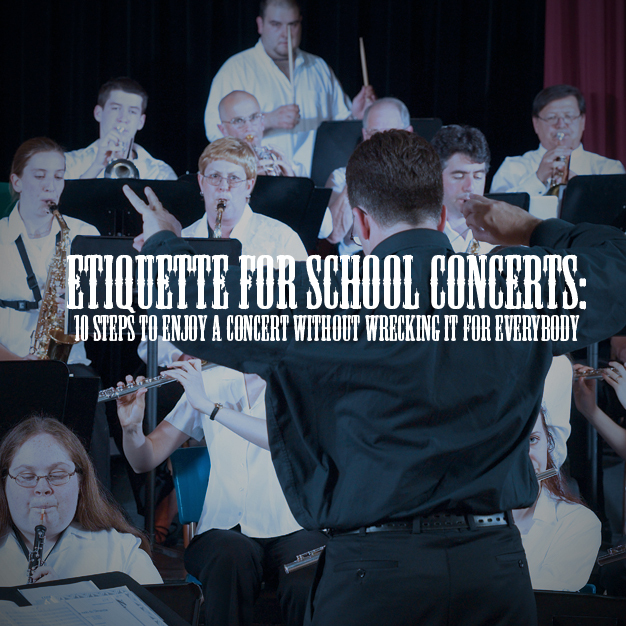 If you want your child to know you are there – tell her AFTER the concert. 10. Tell your child afterward that he did a good job. Even if it stunk. Let him know that his efforts were appreciated, and that you enjoyed the concert. Don’t berate them for their mistakes. Don’t laugh at them and tell them they looked funny. Give them a hug and let them know that you are proud of them, and their hard work. Also – when you see your kids friends, give them a high five and tell them “Great Job!” as well. Business is good. Busyness isn’t necessarily. Here lately, I’ve been very busy. Starting the new full-time job as a graphic designer at the Bradford Era, a part time job as a freelance reporter for the same, maintaining my own graphic design/marketing firm, and trying to build some residual passive income sources, I’ve found myself a little foggy-headed. 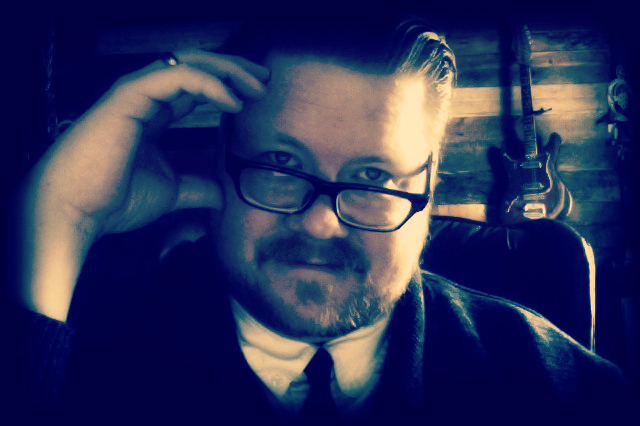 I’ve really got to keep the hustle going for a little longer, so that I can finish several outstanding projects, and get some of these new ideas off the ground. But I’ve got to be strategic, so that I don’t burn out. I hear some good weather is on the way – I think I’ll take advantage of it to get out on the trails and in the woods. That always helps me get my mind centered and helps me feel refreshed.